FOR IMMEDIATE RELEASE: Portland, Maine (April 24, 2018) – New England Fights (NEF) returns to Aura in Portland, Maine with its next mixed-martial-arts event, “NEF 34: Home of the Brave,” on Saturday night, June 16, 2018. Earlier today, the fight promotion announced the addition of an amateur women’s bantamweight bout to the card. 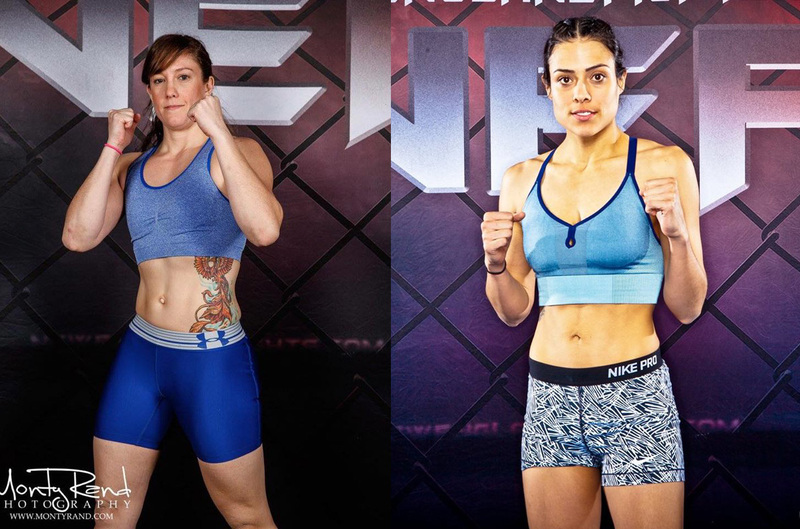 Brianne Genschel (0-1) will return to take on Amanda Gallo (1-1) at a fight weight of 135-pounds. Genschel made her MMA debut at “NEF 26” in the fall of 2016 in a losing effort to a much more experienced Jessica Borga who already had five amateur fights to her credit. Despite the disadvantage in cage experience, Genschel held her own for a full three rounds and forced Borga to the judges’ scorecards. Genschel is the owner and operator of the Farmington branch of The Foundry Brazilian Jiu-Jitsu (BJJ) school. She has practiced BJJ for more than a decade and holds a black belt in the martial art. Genschel is also a member of First Class MMA based in Brunswick, Maine.